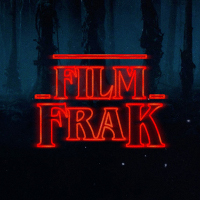 It’s our final FilmFrak Podcast episode for 2017 and it’s an epic. Our biggest show ever with 19 titles to enthusiastically gush, puke or shrug at while tactfully and sometimes not so artfully navigating spoilers. It’s been a stellar year for FilmFrak. Jon and I want to thank all our listeners. Every. Single. One. You make it all possible rewarding us with your support. No audience. No show. It’s that simple. Well maybe that’s not completely true. We do love the sound of our own voices.,,,anyway, thank you. We’re excited for you to all join us again in late January when we return with our Frakking Favourites of 2017 episode. We have big plans for the future but for now, on with the show! Until next month, as always we encourage all feedback and thank you for listening.